Did you know that ‘getting organized’ is one of the top ten New Year’s resolutions? It’s true! 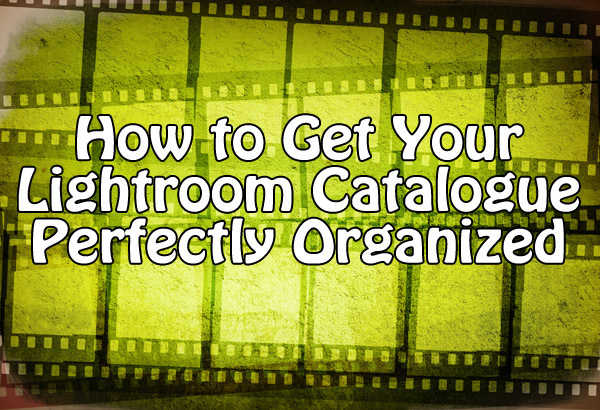 So let’s roll up our sleeves and get to tidying up your lightroom editing process. Lightroom, after all, is an archive of your work, a database of your creative content. Having a streamlined system will allow you to minimize your editing and post-processing time. Don’t let those digital dust bunnies pile up! Start out by putting your best, very organized foot forward. 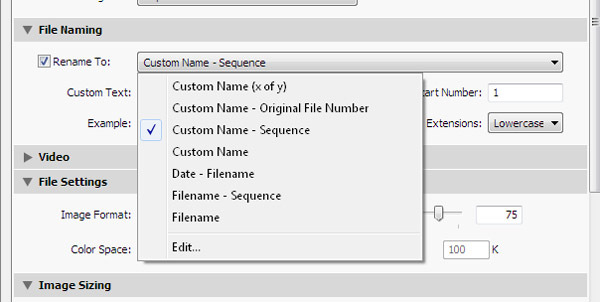 In the import dialogue (you can get a refresher on how to import files into lightroom by clicking HERE), organize your images into folders, naming the folder based on a pattern (I like to call this a “naming convention”). Pick very specific information that works for you. Most successful (read: easy to quickly discern and identify) naming conventions rely on two identifying factors. Stay away from vague information that is easily forgettable. I’ll admit, most things re easily forgettable, but especially dates or broad locations. Use information that will remind you of what the images look like, or what the experience of making the images was like. Most photographers have more one star images than four or five stars. Trust me on this one. Don’t beat yourself up about it. Okay, here’s how to make your selections quickly. Make sure all of your images have loaded and that you are in “Develop” mode. Get your left hand ready, you will be using your pointer and middle finger. Put that middle finger on 1 and the pointer finger on number three (don’t even think about number 2 right now! That comes later.) Use your right hand on your arrow keys to scroll through your images. As you look at each image, give those babies either a one star or three star rating, using your keyboard. Is your subject blinking? One star! Gorgeous light? Three stars! Now you have a bunch of ones, and a bunch of threes. Well done. Now, select only the threes (you can do this in the toolbar above your thumbnail strip, or by going to File > Filter by Rating). Scroll through the threes, looking at each one closely. Make sure they are truly in focus, that you like the image, that your subject is worthy of your editing time. Give redundant or so-so images a two star rating. Now, you know your threes are the images worthy of your editing time. Edit them! Make them your masterpieces! Crop, tone, enhance. Done? Are your threes looking stellar? Good. Go through them again. Pick the best of the best. Pick the ones that your client will want to see, and give them a four star rating. This is your final selection. Are any of them just above-and-beyond amazing? Give them a five star rating. Be proud if you have captured an elusive five star-worthy image. You go, you. Everyone loves colors. Don’t forget about them. If you want to apply color labels to your images, go for it! You can find them in the toolbar to the right of the numeric rating you were just using. You can also apply color rating by using numbers above five: 6 applies red, 7 applies yellow, 8 applies green, and so on. Use color labels to identify images you intend to share on social media, sent to different clients, or images that you still need to work on. Use Your Words (export edition)! Remember the naming convention we used at the beginning to name your folders? Now it’s time to name your images. Pick a pattern, and stick with it. Believe me. This will not only make it easier for your clients, friends and yourself to identify and locate your images, it will make them (slightly, perhaps) harder to rip off. Don’t have messy file names. It makes it harder for everyone. Your image name should have: your name, an specific identifier (client name or subject name works best) and the original image number. Your name is important because it acknowledges and retains credit for the image’s author (you!). The subject name is for you and the client to know which shoot it belongs to. And the original image number is essential. It allows you easily locate and revisit specific images in your Lightroom archive at a later time. Your images are ready, and your editing process was slick. You’ve created a workflow and archive method that will help you edit and reference your images in no time! And not, it is perfect time to get some beautiful Lightroom Presets from Photodoto to boost your creative process even more! About the author: Greta Rybus is a full-time photographer and photo editor based in Portland, Maine.